May 10th. 2018 – A White House official mocked John McCain’s battle with brain cancer during a closed-door communications meeting Thursday morning. The Republican senator came out against Trump’s CIA Director nominee, Gina Haspel, yesterday saying her refusal to acknowledge the immorality of torture disqualifies her from the position. Kelly Sadler, who serves as Special Assistant to President Trump, interjected her thoughts as two dozen communication staffers discussed the impact that McCain’s “no” vote may have on the Senate confirmation. “It doesn’t matter, he’s dying anyway,” Sadler jabbed, according to an unnamed source. According to The Hill, two sources who were present at the meeting believe the comment was intended as a joke. They described the reaction in the room as “discomfort” but said that nobody confronted Sadler about the jab. The meeting, led by deputy press secretary Raj Shah, moved ahead. Just a week after the Trump administration slammed Michelle Wolf for making jokes during a roast, they’ve kept fairly mum about Sadler’s joke but did put out a statement sending prayers to McCain’s family. Twitter had plenty of opinions this afternoon about McCain, who survived torture as a prisoner of war during Vietnam, and Sadler, who was previously the opinion editor for The Washington Times. John McCain is a war hero, and whether you respect him as a politician or not, he’s always been loyal to America. As opposed to Donald Trump, who committed treason. How dare Kelly Sadler or anyone else in the traitorous Trump administration make fun of McCain because he’s dying? WH official confirms Kelly Sadler mocked John McCain’s cancer diagnosis saying “he’s dying anyway” in response to his opposition to Haspel nomination. It’s not strange because Trump did mock Sen. McCain before. But I would say, the entire admin is a complete trash. No respect! Kelly Sadler is the White House aide who mocked John McCain’s terminal condition. May her career be in terminal condition. 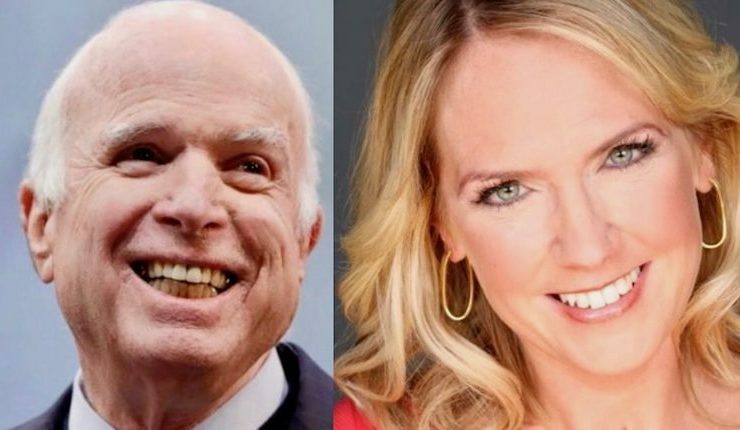 The White House communications official who mocked “dying” McCain during a meeting, is @kellysadler45. Our taxes pay her damn salary. Dear @kellysadler45 -have u heard abt a new initiative, headed by @FLOTUS ? Our Country deserves better. So much unkindness and hatred has been unleashed with this administration. That was NOT A JOKE those are words directly from aides that have no empathy or historical understanding of who Senator McCain is.